That was a hell of a thing for an introductory set to do. She was based off Mentzer's girlfriend and a drawing by Elmore, made more alluring by the fact that she was well covered. 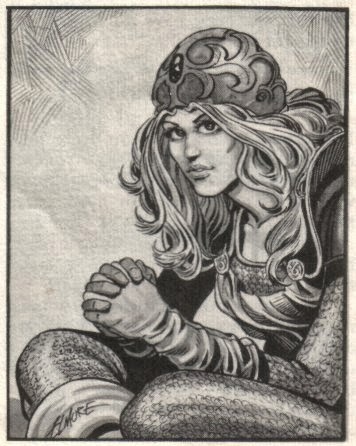 To your right, sitting by the cave wall, is a beautiful woman, wearing armor like yours. She has no sword, but has a rod with a metal ball on one end; this is a weapon called a mace. A lit lantern is on the floor next to her. She seems to be meditating or praying. You are in a new fantastic realm of fantasy and a beautiful woman is your guide. She explains about the world, giving you knowledge and information to prepare you for the journey ahead. Later, you confront the magic-user Bargle in his lair. 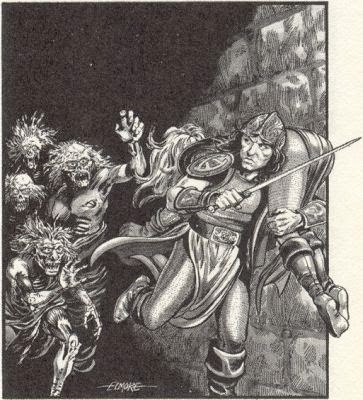 You attack his goblin servant while Aleena searchs for him. You carry her body back to town unable to save her. Of course she doesn't stay dead. 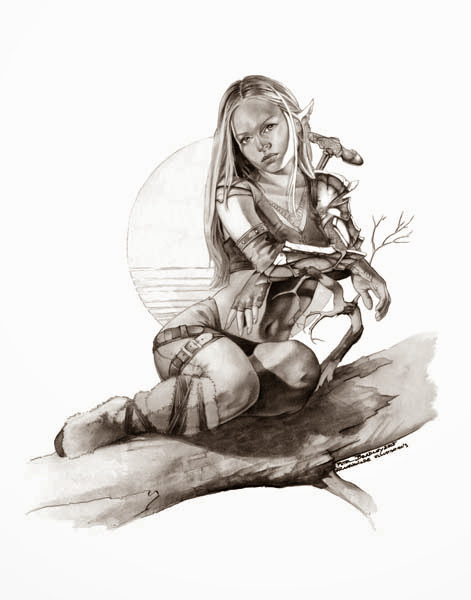 You leave her with the priests for burial, but Aleena is the niece of Baron Sherlane, leader of Threshold, a Karamekikan town (Gazetteer 1). It is likely in this case, one of the priests decided to check who she was based on the rumor that she might be around investigating Bargle and Decided to have her raised. Official Materials indicate several different facts. First, that she has a twin sister Anielle. Second that her, or perhaps her sister is married to Dmitri Yurevich in AC 1010-11, and Third that she (or again, possibly her sister) is in a secret relationship with a nearby druid. 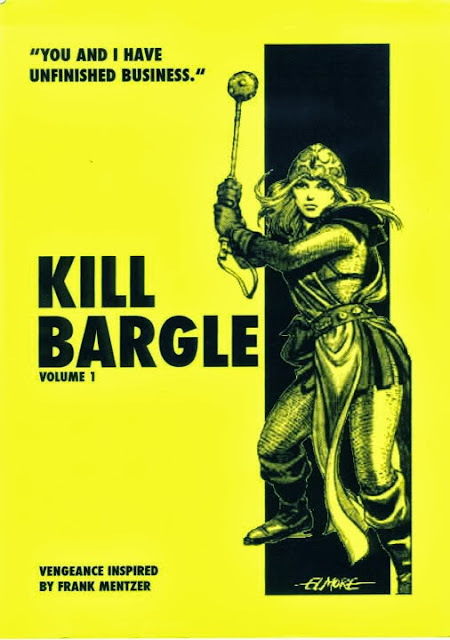 It's also of note that apparently the Bargle she faces in the Basic adventure is a different Bargle to the one causing the trouble mentioned in the Gazetteer 1. Here are her stats for Aleena Halaran, high level c eric. 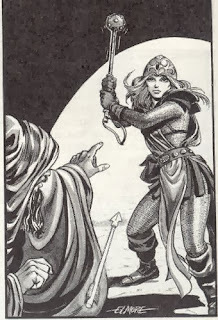 In her early carrer she likely is about 3rd level, having cast 2 spells in the basic book. The important thing about the Aleena story, is that it's true. Sometimes people die, especially in Dungeons & Dragons. Sometimes they die even when we really, really, don't want them to. Of course sometimes they come back and have poor continuity errors that have them married and involved in relationships with nearby forest hippies. Sometimes that happens too. All images used in this noncommercial, free, public, post have previously been published and are used for the purpose of illustration and historical education of an iconic fictional character. No claim to copyright is intended and any request by the copyright holder to remove the images will be honored. Her hair is awfully dark to be Aleena. Great article! There is also a fan page of Aleena on Facebook.